The air in Oxford was heady with hops last weekend when the Yoknapatawpha Arts Council hosted its ninth annual Miss-i-sippin’ Beer Festival. The festival is dedicated to promoting the cultural interconnectedness of food, fun and the burgeoning arena of regional “craft” beer brewing. When the festival began in 2008, only one craft brewery kept the Mississippi beer landscape afloat. Craft breweries from neighboring Louisiana and Alabama filled in the gaps. By last week, following three years of changes in state laws governing beer, the Magnolia State could boast nine flourishing breweries, plus a growing number of beer pubs. That number is estimated to multiply in the future, as a result of recent additional legislation that will allow direct brewery sales to consumers. 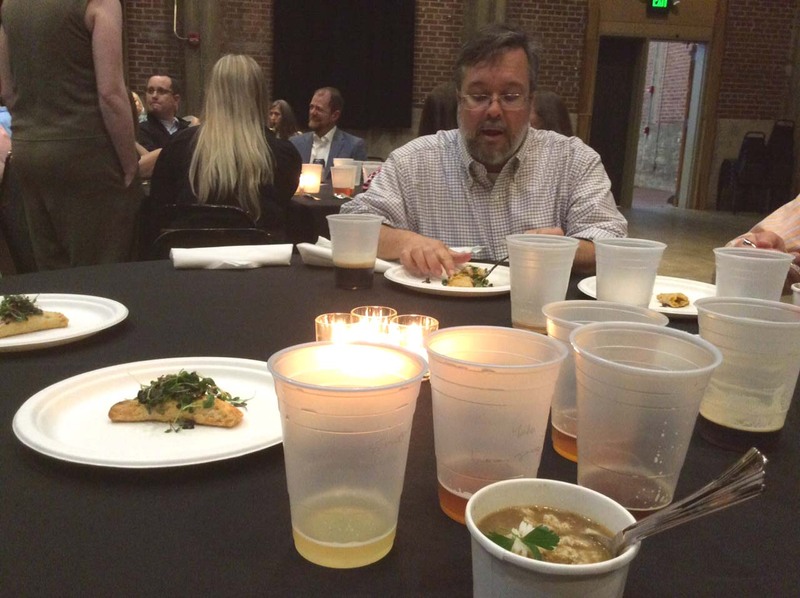 Despite turbulent weather brewing on March 24 and 25, events got off to a rousing start for 70 supporters on Friday night at the Mississippi Brewers Dinner held at the Power House. 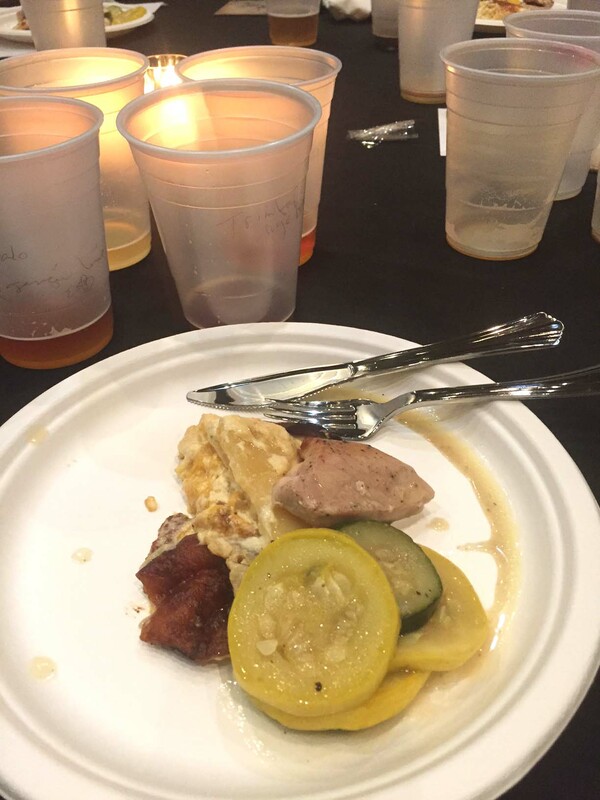 Sinfully Southern’s Dwayne Ingram created a four-course menu to pair with assorted regional beers. 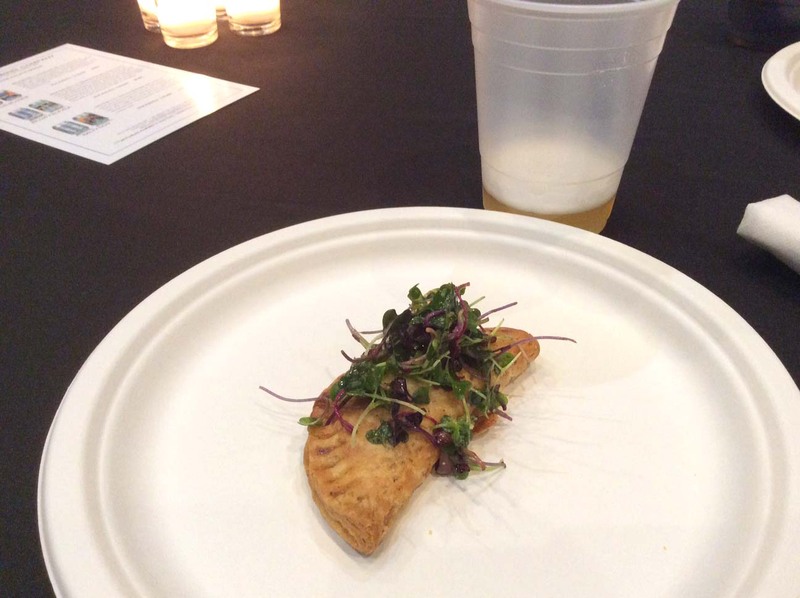 The meal kicked off with an appetizer of crawfish hand pies embellished with a micro greens salad. This was followed by a cup of chicken and sausage gumbo. The main course featured smothered pork loin, potatoes au gratin and sautéed zucchini and squash. The coup de gras was Ingram’s dessert — an assemblage of banana pudding coupled with vanilla custard mounded over a homemade vanilla wafer crust layered with dark dulce de leche, topped with a dainty miniature coffee macaron. Natchez, Biloxi, Yalobusha and Lucky Town Brewing — all from Mississippi — provided tap, bottled and canned favorites, along with Trim Tab from Alabama and Abita from Louisiana. 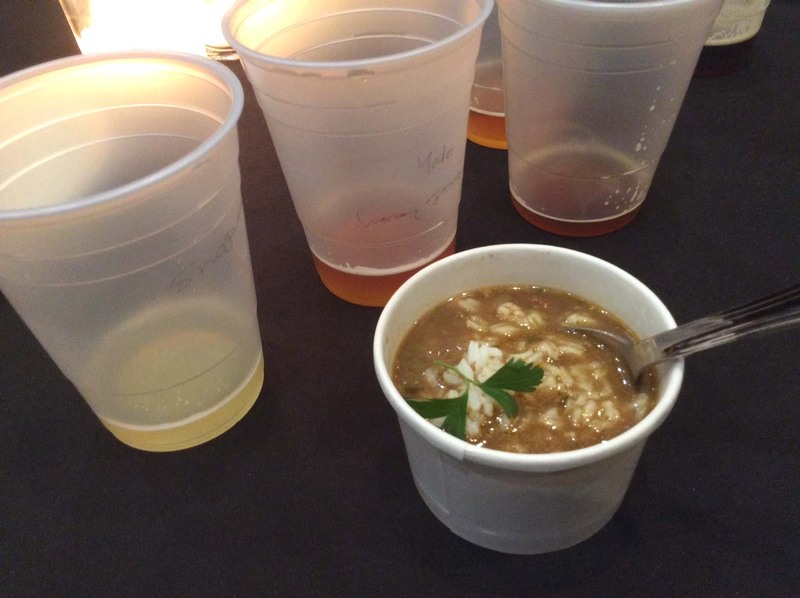 Biloxi and Yalobusha also brought seasonal brews to share during the meal; Yalo’s Honey-Ginger-Lime Sour ESB paired well with the crawfish pies and gumbo; founder Andy O’Bryan suggested also pairing it with a Caribbean Jerk-seasoned grilled chicken. Biloxi’s Black Gold Breakfast Blend Extra Stout and Yalo’s Testify Milk Stout (hinting at chocolate) were served up with dessert. Diners could and did enjoy sipping both as we ate our way through changing layers of creamy, crunchy, fruity dessert flavors. Saturday’s festivities accommodated 350 people who participated from noon to 8 pm in games, music, food and beer tastings and related special events at Gus’s Fried Chicken, The Growler, High Point Coffee, Jackson Beer Company and The Powerhouse. New Belgium Brewing of Ashville, NC, and Sweet & Sauer kombucha of Jackson, MS, joined the other brewers on Saturday. One of the high spots of the festival was Gus’ Chicken Wing Challenge. A clucking bird chorus echoed in the hall while a car race video lit the background, as Kane Keith beat all challengers to gobble the most chicken wings in 5 minutes. All challengers washed down each bite with swigs of beer. Miss-i-sippin’ is an official Mississippi Brewers Guild beer festival. Major sponsors collaborating with YAC for the 2017 Miss-i-sippin’ Beer Fest included the named brewers, the Saturday-event corporate participants, MaxxSouth, The Hub, The Cooler at Larson’s Cash Saver, Yalobusha Brewing Company and Clark Distributing Co., Inc.